Robotics And Beyond is thrilled to again receive a $1000, unrestricted grant from the Kent Presents Community Grant Program. In this year alone, the program has donated $125,000 to 38 regional organizations having important impact in Kent, CT and nearby communities. The total for 2016 was $100,000 to 29 organizations. Robotics And Beyond will use this funding to support hardware needs and our tuition assistance fund to enable access to our programs by more young people in the region. KentPresents missions are sharing and disseminating great ideas, and supporting local charities that serve people in need. KentPresents, Inc., is a 501(c)(3) federal tax-exempt organization and a Connecticut state charitable organization. 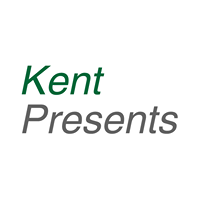 To learn more about KentPresents, please visit their website at www.kentpresents.org.